You know what I love about salmon. I love that it does a fantastic job of taking on the flavors and scents of what the sauce, marinade or spices that you add to it when cooking. And I also love that it takes just a few minutes to cook through, even the thicker parts of a filet. This grilled salmon, loaded with citrus and dill flavors can be on the table in just a few minutes. Slice up a lemon, lime and orange. Add salmon to large piece of foil. Grill for a few minutes, until cooked through. 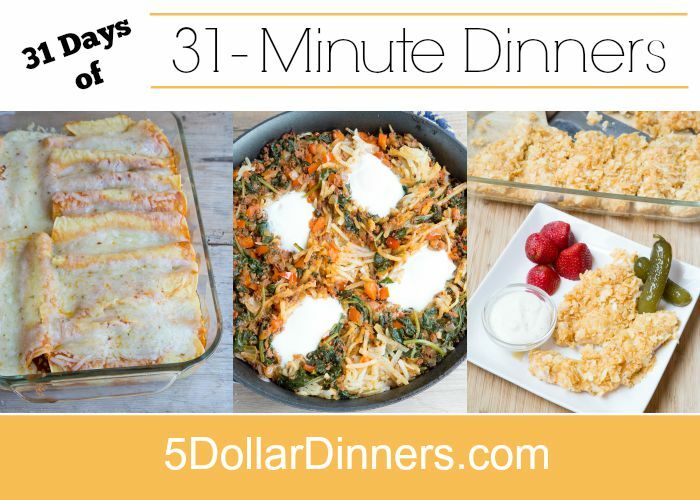 You can grill some garlic bread along side it and cut up some fresh fruit while it’s grilling and BAM…dinner on the table in no-time! 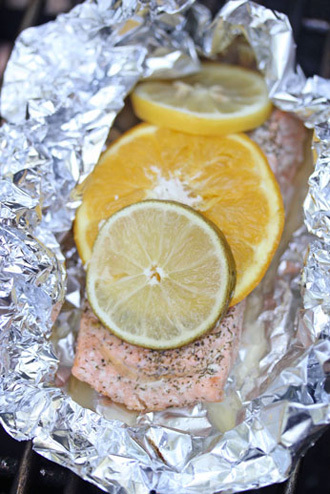 See the full 31-Minute Dinner Recipe for Grilled Citrus Salmon Packets here!